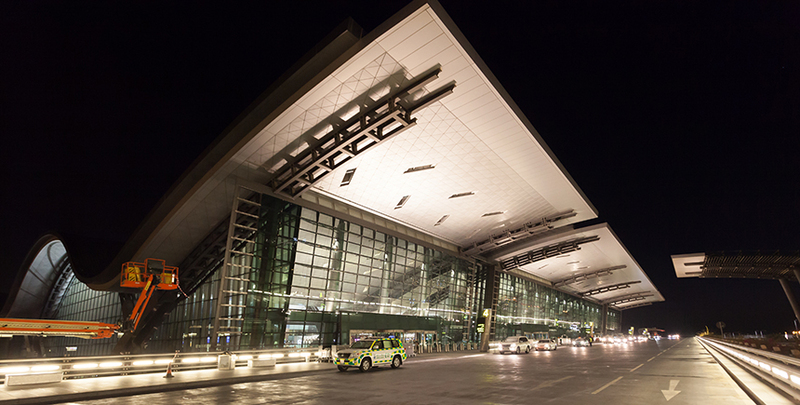 With high ceilings, ample concourses and designer touches (from art installations to luxury retail and gourmet dining choices), it’s no wonder Doha’s Hamad International Airport (HIA) has been counted among the world’s best airports. HIA won the Middle East’s Best Airport for the second consecutive year at the 2016 Skytrax World Airport Awards, and is the first Middle East airport to join the ranks of the world’s best. The passenger terminal showcases art curated in partnership with Qatar Museums. Enjoy viewing the collection — a mix of acquired works and commissioned pieces — which range from large-scale murals and sculptures to installations by Qatari and international artists. Enjoy an immersive experience, and stay connected while traveling through the airport, with HIA’s iBeacon-enabled mobile app. With a simple scan of the boarding pass and an opt-in for location detection, the app provides real-time information about flight status, baggage claim, time and direction to boarding gates, food and beverage offers, as well as retail deals from Qatar Duty Free, HIA’s award-winning shopping emporium. The app even alerts the user about ongoing promotions when walking past outlets.